Defendant DriverReach bolsters Motion to Dismiss patent infringement suit by citing recent CAFC ruling. 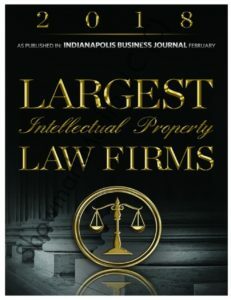 Indiana Intellectual Property Law News is a resource for attorneys and litigants with patent, trademark copyright, trade secret and related interests in Indiana and nationally. The blog focuses on the Northern District of Indiana, Southern District of Indiana and Indiana state courts as well as the Seventh Circuit Court of Appeals, U.S. Supreme Court, and the U.S. Patent and Trademark Office. The blog covers recent court cases and decisions as well as court rule changes, legislation, and policy relevant to Indiana intellectual property lawyers. Indiana residents and businesses have a wealth of intellectual property law issues. The state has several major research universities, and is home to Eli Lilly and Company, Roche, Zimmer, DePuy and other life sciences companies. These industries spawn a large number of patent and intellectual property law cases. Paul B. Overhauser is the author and publisher of Indiana Intellectual Property Law News. Mr. Overhauser is a leading Indiana intellectual property attorney who focuses on litigation and prosecution of patents and trademarks, as well as copyright, unfair competition, trade secrets, licensing agreements, and other intellectual property matters. 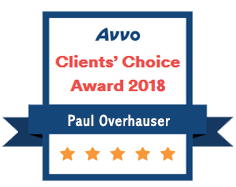 Mr. Overhauser is the founder of the Overhauser Law Offices, an intellectual property law firm dedicated to protecting the intellectual property rights of its clients.